A team from Warwick and Liverpool Universities (lead by Matt Keeling and Jon Read) have recently received funding from the Medical Research Council (MRC) to investigate the patterns of social contacts in the UK. Knowing how many other people we meet is an important step in understanding how many people we can spread infection to, our risk of catching infection, and the effectiveness of many control strategies. Our aim is to better predict the spread of pandemic influenza (our work in this area), and therefore be able to provide health-care agencies with a better understanding of the types of control that are needed. Using postal surveys and web-based questionnaires, we hope to record the contact patterns during a single day of around 100,000 people in the UK (approximately 0.16% of the population). Please see www.contactsurvey.org. This will provide us with a huge amount of data that will generate a highly informative picture of the patterns and variability in human social contacts, with applications in understanding and controlling many different diseases. This research brings together two complementary scientific fields: networks and infectious disease epidemiology. An example of a social network, made amongst staff and students at the University of Warwick. With permission Read, Eames, Edmunds (2008) Proc. Roy. Soc. Interface. Human contacts can be thought of as a network (see figure) with people as points in the network and contacts drawn as lines. This way of thinking about human contact patterns is leading to a variety of interesting conclusions, and the study of networks is now a science in itself. In particular scientists are interested in understanding the number of connections, the clustering of contacts, and the ease with which information (or infectious diseases) can reach all parts of the network. Key to understanding human contact networks is the availability of large amounts of high quality data. Previous studies in network theory have examined a variety of networks (such as email correspondence), but until recently very little research has been undertaken to measure the face-to-face social interaction been people. This study will use the data collected on individuals to generate multiple plausible interconnected networks, to assess how human contact networks compare to the range of theoretical predictions. Although we will be interested in measuring a range of basic properties for these human contact networks, our key priority will be to assess how easily infectious diseases spread through these networks. In general, the study of infectious diseases is becoming an increasingly important area of applied research, with obvious implications for the control of a range of public-health and veterinary problems. Work in the groups at Warwick and Liverpool has focused on developing mathematical and computer models that are able to predict the likely spread of disease; we can then use these models to test a range of control strategies to see which work best. Recent work has looked at diseases as wide ranging as Bubonic Plague, Foot-and-Mouth disease, bovine TB, Avian Influenza and MRSA (see our Modelling webpage) and has provided information and support for a variety of government and international organisations. The current worldwide epidemic of swine flu gives a particular impetus to this research - what kinds of contacts are people making that can lead to the transmission of disease, in which social context and for how long? Measures aimed at controlling spread through reduction in contact between individuals can be informed by the data that we are hoping to collect. This research project will bring together the science of networks and epidemiology to create realistic models of the spread of infection (concentrating on pandemic influenza) between individuals. A variety of mathematical and computer tools will be used, but all rely on the same underlying principle - that these diseases spread through close contact between individuals. Therefore by measuring these contacts using our survey, we gain powerful information about the way such infections can spread and the ways in which such infections can be controlled. 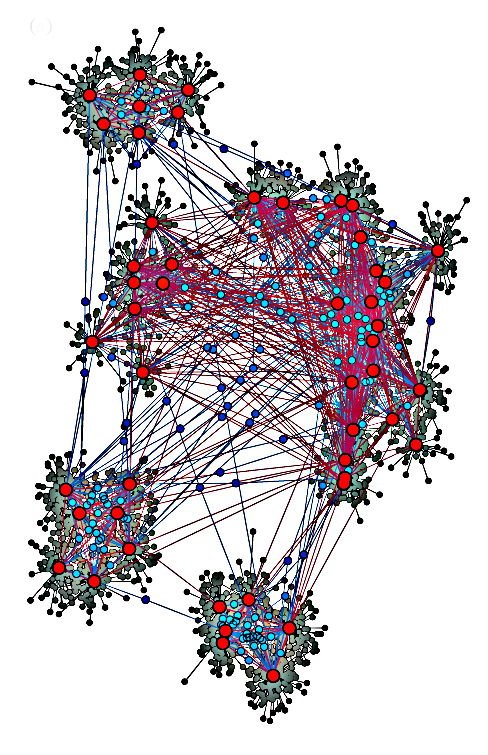 Our research group has played a leading role in modelling the spread of diseases through networks of contacts in a variety of applied and theoretical settings - more details can be found on our web pages. Funding: Medical Research Council ref G0701256; "Social contact survey and modelling the spread of influenza"